I’ve decided to just post the only ones I like from Amazon’s Daily FREE paid app from Amazon’s Appstore for Android. Anyway, we’ve got a really good one for today, it’s “A Charlie Brown Christmas“by Loud Crow Interactive Inc. for FREE today only. Get it and save $6.99! 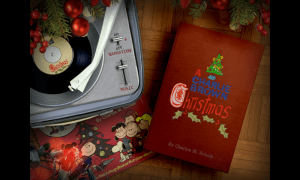 A Charlie Brown Christmas, the beloved Peanuts classic by Charles M. Schulz, is now available as a spectacular interactive storybook optimized for your Android device. Sit back and enjoy original dialogue, digitally remastered illustrations, animation, music, and narration by Peter Robbins, the original voice of Charlie Brown. Only Charlie Brown can turn the magic of Christmas into a problem. Even though the snowflakes are falling softly, carols are ringing sweetly, and people are gathering merrily, Charlie Brown is feeling down. He just doesn’t understand Christmas. Join him, along with Snoopy and the entire Peanuts gang as they struggle to find the true meaning of Christmas. It’s all accompanied by a charming soundtrack featuring music and sound effects from the original show. FREE Christmas Holiday Song Download ‘Messiah: 42. Chorus: Hallelujah’ by Alexander Vilumanis (Amazon’s 25 Days of FREE) $0.99 Kindle Apps Sale from Electronic Arts (EA)!